Waterford News and Star — Who will win the News & Star Cup as 2018 Co. SHC Champions? » Who will win the News & Star Cup as 2018 Co. SHC Champions? Who will win the News & Star Cup as 2018 Co. SHC Champions? Scorers:- Ballygunner – Pauric Mahony 0-9 (6Fs), Peter Hogan 1-1, Michael Mahony and Ian Kenny 0-1 each. Abbeyside – Mark Ferncombe 0-4 (3Fs), Stephen Enright 0-2 (Fs), Tom Looby 0-1. Ballygunner – Stepehen O’Keeffe, Eddie Hayden, Barry Coughlan, Ian Kenny, Wayne Hutchinson, Philip Mahony, Harley Barnes, Conor Sheehan, Shane O’Sullivan, Billy O’Keeffe, Pauric Mahony, Peter Hogan, Tim O’Sullivan, Barry O’Sullivan, Mikey Mahony. Subs – Harry Ruddle for M. Mahon y(62). Abbeyside – Stephen Enright, Darragh McGrath, John Elsted, Mark Twomey, Conor Prunty, David Collins, James O’Mahony, Maurice Power, Sean O’Hare, Sean Daly, John Hurney, Sean Whelan-Barrett, Tom Looby, Mark Ferncombe, Neil Montgomery. Subs – Patrick Hurney for Twomey (HT), James Beresford for Whelan-Barrett (58), Eoin Kiely for O’Mahony (61). Referee – Michael O’Brien (Portlaw). 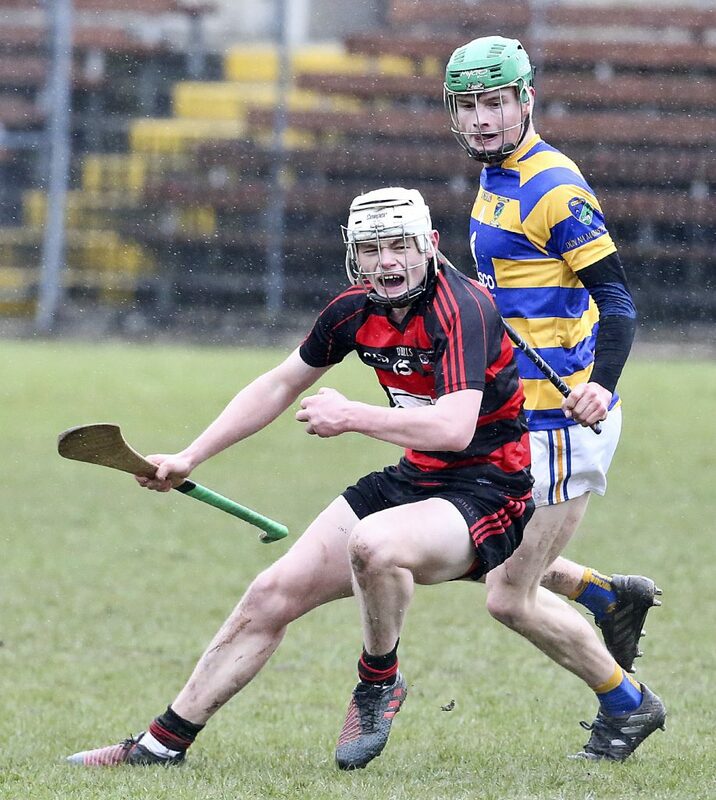 Scorers:- Ballygunner – Pauric Mahony 0-12 (7Fs), Peter Hogan and Billy O’Keeffe 0-3 each, Michael Mahony, Tim O’Sullivan and Conor Sheehan 0-2 each, Shane O’Sullivan, Shane O’Cinneide and Barry O’Sullivan 0-1 each. An Rinn – Aodan MacGearailt 1-1, Donie Breathnach 0-4 (3Fs), Padraig O Murchadha, Fearghal O Ceallaigh and Shane O Cuirrin 0-1 each. Ballygunner – Stephen O’Keeffe, Shane O’Cinneide, Eddie Hayden, Harley Barnes, Wayne Hutchinson, Philip Mahony, Ian Kenny, Conor Sheahan, Shane O’Sullivan, Billy O’Keeffe, Pauric Mahony, Peter Hogan, Michael Mahony, Barry O’Sullivan, Tim O’Sullivan. Subs – Harry Ruddle for Billy O’Keeffe, Billy O’Keeffe for Kenny. An Rinn – Donal O Murchadha, Darach O Cathasaigh, Tadhg O hUllachain, Jamie de Barun, Noel O Murchadha, Shane O Cuirrin, Ferdia O’hAodha, Conor O Cuirin, Deaglan O hAirtaigh, Donie Breathnach, Padraig O Murchadha, Cathal O Cuirrin, Paraic O Lionain, Christy Breathnach, Ferghal O Ceallaigh. Subs – Aodan Mac Gearailt for C. O Cuirin, Seanie MacCraith for O Lionain. Referee – Pat Casey (Cappoquin). Scorers:- Ballygunner – Conor Power 4-5, Pauric Mahony 1-11 (0-7Fs), Mark Mulally and Tim O’Sullivan 1-1 each, Mikey Mahony, Barry O’Sullivan and Billy O’Keeffe (2Fs) 0-3 each, Peter Hogan, Harry Ruddle and Ian Kenny 0-1 each. Ballyduff Upper – Eoghan Murray 0-4 (Fs), Andrew Casey, Jamie Kearney, Sean Casey, Michael Kearney and Peter Kennedy 0-1 each. BALLYGUNNER – Stephen O’Keeffe, Barry Power, Eddie Hayden, Harley Barnes, Ian Kenny, Wayne Hutchinson, Billy O’Keeffe, Harry Ruddle, Mikey Mahony, Barry O’Sullivan, Pauric Mahony, Peter Hogan, Brian O’Sullivan, Tim O’Sullivan, Conor Power. Subs – Mark Mulally for B. O’Sullivan (16), Shane O’Cinneide for P. Mahony (39) P. Mahony for Ian Kenny (51). BALLYDUFF UPPER – Conor Sheehan, Jamie Hannon, Seamus Hannon, Jack Barry, Oran Leamy, Michael Kearney, Jamie Kearney, Shane hannon, Andrew Casey, Shane Kearney, Eoin O’Brien, Conor Murray, Sean Casey, Eoghan Murray, Fionnan Hickey. Subs – Peter Kennedy for Jack Barry (43). Referee – Thomas Walsh (Modeligo). Scorers:- Ballygunner – Pauric Mahony 0-9 (6Fs), Brian O’Sullivan 1-2, Peter Hogan 0-2, Barry O’Sullivan, Billy O’Keeffe and Michael Mahony 0-1 each. Roanmore – Gavin O’Brien 0-6 (4Fs), Emmet O’Toole 0-4 (Fs), Eoin Madigan 1-0, Daniel Murphy, Eamonn Power and Colm Burke 0-1 each. BALLYGUNNER – Stephen O’Keeffe, Eddie Hayden, Barry Coughlan, Ian Kenny, Wayne Hutchinson, Philip Mahony, Harley Barnes, Shane O’Sullivan, Billy O’Keeffe, Barry O’Sullivan, Pauric Mahony, Peter Hogan, Brian O’Sullivan, Tim O’Sullivan, Mikey Mahony. Subs – Conor Power for O’Keeffe (48), Harry Ruddle-Redmond for Hogan (58). ROANMORE – Jack Chester, Chris Dempsey, Ray Connolly, Charlie Chester, Eamonn Power, Brian Nolan, Eoin Madigan, Frank McGrath, Dales Hayes, Gavin O’Brien, Emmet O’Toole, Daniel Murphy, Cein Chester, Colm Burke, Conor Ryan. Subs – Dean Reidy for Power(39), Shane Nolan for Burke(40), Brian Cooke for Cein Chester(55), Tony O’Brien for Connolly(56), David Barrett for Murphy(58). Referee – Tommy O’Sullivan (Cappoquin). Scorers:- Ballygunner – Pauric Mahony 1-11 (1-10Fs), Conor Power 1-1, J. J. Hutchinson 1-0, Tim O’Sullivan and Brian O’Sullivan 0-3 each, Barry O’Sullivan and Billy O’Keeffe 0-2 each, Shane O’Sullivan 0-1. Passage – Conor Drohan 1-0, Owen Connors 0-3 (2Fs), Richard Hurley 0-1. BALLYGUNNER – Stephen O’Keeffe, Eddie Hayden, Barry Coughlan, Ian Kenny, Wayne Hutchinson, Philip Mahony, Harley Barnes, Mikey Mahony, Shane O’Sullivan, Billy O’Keeffe, Pauric Mahony, Barry O’Sullivan, Tim O’Sullivan, Brian O’Sullivan, Conor Power. Subs – J. J. Hutchinson for M. Mahony (49), Conor Sheehan for Power (51), Harry Ruddle-Redmond for Brian O’Sullivan (54), Barry Power for W. Hutchinson (55), Mark Mulally for Pauric Mahony (57). PASSAGE – Eddie Lynch, Jason Roche, Noel Connors, Jason Flood, Adam Roche, Darragh Lynch, Gary Cullinane, Pa Walsh, Killian Fitzgerald, Richard Hurley, Thomas Connors, Owen Connors, Stephen Lynch, Liam Flynn, Conor Drohan. Subs – Sean Hogan for Walsh(h.t. ), Eoin Kelly for Drohan (40), Sean Treacy for Flynn (52), Conor Carey for S.Lynch (55), Patrick Flynn for Fitzgerald (58). Referee – Alan Kissane (Dunhill). Scorers:- Abbeyside – Mark Ferncombe 0-5 (2Fs), Patrick Hurney 1-1, Sean Whelan- Barrett 1-1, Darragh McGrath and Eoin Kiely 0-1 each. Ballyduff Upper – Eoghan Murray 0-3 (Fs), Mikey Kearney (1F), Shane Kearney and Jamie Kearney 0-2 each, Shane Hannon 0-1. Abbeyside – Stephen Enright, Darragh McGrath, Conor Prunty, Mark Twomey, John Elsted, David Collins, James O’Mahony, Maurice Power, Sean O’Hare, Sean Daly, Tom Looby, Sean Whelan-Barrett, Patrick Hurney, Mark Ferncombe, Neil Montgomery. Subs – Eoin Kiely for O’Mahony (44), James Beresford for Daly (60). Ballyduff Upper – Conor Sheehan, Jamie Hannon, Seamus Hannon, Oran Leamy, Michael Kearney, Conor Murray, Jamie Kearney, Shane Hannon, Fionnan Hickey, Sean Kenny, Eoghan Murray, Andrew Casey, Sean Casey, Shane Kearney, Mikey Kearney. Subs – Eoin O’Brien for Kenny (60). Referee – Noel Kelly (Erins Own). Scorers:- Abbeyside – Mark Ferncombe 2-6 (0-6Fs), Neil Montgomery 1-3, Conor Prunty and Tiernan Murray 1-0 each, Eoin Kiely 0-4 (3Fs), Patrick Hurney 0-2, Darragh McGrath and Sean Whelan Barrett 0-1 each. An Rinn – Fergal O’Cuirrin 1-2, Donie Breathnach 0-5 (4Fs,1’65’), Shane O’Cuirrin and Tadhg O’hUllachain 0-1 each. ABBEYSIDE – Stephen Enright, Brian Looby, Sean O’Hare, Darragh McGrath, John Elsted, David Collins, Conor Prunty, Maurice Power, John Hurney, Neil Montgomery, Sean Daly, Sean Whelan Barrett, Tiernan Murray, Mark Ferncombe, Patrick Hurney. Subs Eoin Kiely for Ferncombe (44). AN RINN – Donie O Murchadha, Darach O Cathasaigh, Ray O Ceallaigh, Deaglan O hAirtaigh, Conor O Cuirrin, Lorcan O Corraoin, Shane O Cuirrin, Ferdia OhAodha, Donie Breathnach, Cathal O Cuirrin, Tadhg O hUllachain, Padraig O Murchadha, Eamonn O Crotaigh, Fergal O Cuirrin, Fergal O Ceallaigh. Subs – Christy Breathanch for C. O Cuirrin (H.T. ), Aodhgan MacGearailt for P. O Murchadha (52). Scorers:-Abbeyside – Mark Ferncombe 0-15 (10Fs,1’65’), Neil Montgomery 1-1, Sean Whelan-Barrett 1-1, Tiernan Murray 0-3, John Hurney and Maurice Power 0-1 each. Tallow – Tommy Ryan 0-4 (3Fs), Kieran Geary 0-2 Darragh Buckley 0-2 (1F), Ryan Grey and Tom Daly 0-1 each. ABBEYSIDE – Stephen Enright, Brian Looby, John Elsted, Darragh McGrath, James Beresford, David Collins, Tom Looby, Maurice Power, Conor Prunty. Patrick Hurrney, Tiernan Murray, John Hurney, Sean Whelan Barrett, Neil Montgomery, Mark Ferncombe, Tiernan Murray. Subs – Eoin Kiely for Murray (54), Sean Daly for J. Hurney (57), Michael O’Halloran, Mark Twomey and James O’Mahony for Whelan-Barrett, McGrath and Beresford (all 59). TALLOW – Shaun O’Sullivan, Mark O’Brien, David O’Brien, Kenneth Geary, Robbie Beecher, Jordan Henley, Robbie Geary, Kieran Geary, Tommy Ryan, Darragh Mulcahy, Ian Beecher, Jake Neville, Ryan Grey, Evan Sheehan, Darragh Buckley. Subs – James Murray for Mulcahy (19), Bob McCarthy for Sheehan (41), Mikey Tobin for K. Geary, Mark Stewart for Buckley (61). Scorers:- Abbeyside – Mark Ferncombe 0-8 (4Fs, 1’65’), Sean Whelan-Barrett 0-2, David Collins, Patrick Hurney, Conor Prunty and Darragh McGrath 0-1 each. De La Salle – Shane Ryan 0-7 (4Fs, 1’65’), Cormac McCann and Paidi Nevin 0-2 each, Adam Farrell and Eddie Meaney 0-1 each. ABBEYSIDE- Stephen Enright, Brian Looby, Sean O’Hare, John Elsted, David Collins, Conor Prunty, Darragh McGrath, James Beresford, Maurice Power, Sean Whelan-Barrett, John Hurney, Neil Montgomery, Patrick Hurney, Mark Ferncombe, Tiernan Murray. Subs – Richie Foley for Murray (44), Tom Looby for Power (48), Eoin Kiely for P. Hurney (58), Sean Daly for John Hurney (61). DE LA SALLE – Shaun O’Brien, Conor Giles-Doran, Ian Flynn, Michael Doherty, Shane McNulty, Jake Dillon, Tom Moran, Eddie Barrett, Paidi Nevin, Kevin Moran, Adam Farrell, Cormac McCann, Eddie Meaney, Thomas Douglas, Shane Ryan. Subs – Eoin Madigan for Douglas (HT), Sean Carton for McCann (60).